Scripture Wall Art is an extremely fast-growing category of the vinyl wall decal industry. 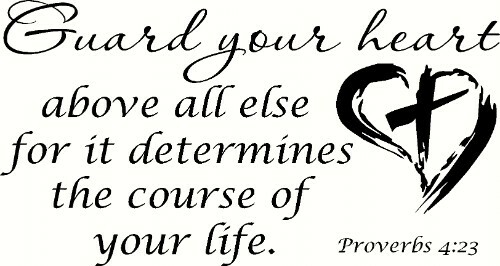 With tens of thousands of potential Scripture verses to turn in wall decals, the options in this category are unending. Of course, with unending options, come unending choices. While we ourselves have over 1200 Scripture wall art designs, it is nice sometimes to just look at the ones that are perennial top sellers. If you just want to go straight to our catalog, use the menus above. The pictures below will take you to the product pages if you want more information on these items. So, let’s get started and take a look at the 13 Best Selling Bible Verse Wall Decals from SWA. This bible verse is foundational in the Christian life. It speaks to making sure God is the focus of your life… your entire life… spiritual, emotional, and physical. In a world where people make idols out of everything and anything, it is harder and harder to keep God at the front of our lives. Yet, this is what God has commanded us to do at Christians so this verse makes a great Bible Verse Wall Decal for us to see daily and stay focused. While Deuteronomy 6:5 tells us where to focus our lives, Proverbs 4:23 gives us instruction on how to do so. It reminds us to protect our hearts. With so many messages that we are bombarded with daily, it is easy to let the wrong messages filter into our lives. We must be diligent in making sure we only let the godly messages make their way to our hearts. This will keep us on the narrow path that leads us to righteousness. Funny how the wisdom in the Bible is timely for every generation. Each generation faces challenges that they feel are the worst ever. Yet, this verse reminds us that that is exactly why we are here. None of us are in the wrong time. God simply doesn’t work that way. We are where and when He wanted us. We are in fact born for a time such as this or we wouldn’t be here. This verse reminds us that the tools and gifts we were born with are exactly what the world needs now. Remind yourself just how important you are in God’s plan with this wonderful message. The book of Romans just has a way of laying it right out there. Wisdom simply stated that dovetails perfectly into the previous verses. While Deuteronomy 6:5 told us where to focus and Proverbs 4:23 told us how to stay focused, Esther 4:14 reminded us we are here at the right time. Now, Romans 8:31 tells us straight up that we have nothing to fear for God is for us. A powerful message when it can feel like the enemies are all around us. No matter how focused we are, how protected we are, and how much God watches over us, we will still get tired. Yet, that tired feeling isn’t always physical. Often, it is our soul just crying out for rest. Psalm 62:10 tells us plain and simple that our Souls need time with God. Spending time with God recharges our souls. It invigorates us with holy strength. This is a great wall art to remind us to spend time alone with God in our secret place. There you have it. Focus, guard, timing, protection, instruction, and finally reward. This wall art reminds us that while God may ask a lot of us at times, he is faithful to reward. Who wouldn’t want their house filled with glory? Not earthly glory that is of little value, but with heavenly glory. This Wall Decal makes a great statement in the Christian household. It works great in a hallway or even the house entry area. Imagine going through what Job went through and having the wisdom to just slow down and to see God all around. I can’t say I am that good. However, it sure explains while Psalm 46:10 makes our top 10. 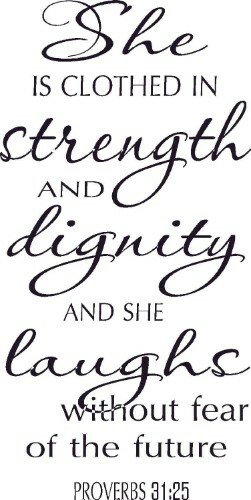 This Scripture Wall Decal has been one of our top sellers since the inception of our company over a decade ago. It speaks to women everywhere. There are entire Christian organizations that focus only on this one scripture. It reminds us all that when we walk with God, we are always clothed in Him. The world has nothing that compares. I am sure you have met a few people in your life who you just knew were clothed in the Glory of God. They were different while not really seeming outwardly different. The glow comes from within. And when you walk with God that closely, you can simply laugh about the future at you know there is nothing to fear. This world we are in can seem crazy and out of control, but who cares. A strong Christian knows their future. Probably one of the most memorized bible verses out there. Yet somehow, seeing it on the wall of your home can bring it to life on a daily basis. If we learn from and follow all the other scriptures above, the natural process means we are teaching our families in the way of the Lord. Our spouses, our children, (maybe even my dogs) will learn from the example that each of us displays. OK, time for the Top 3. Let’s use some Olympics Analogies for these. What a powerful verse and what a great statement this Scripture Vinyl Wall Art makes. It is similar in message to the Romans 8:31 verse above. The Romans verse reminds us that God is for us. This verse from Psalms tells us that those of us that spend time with God will live under His shadow or protection. It can give us hope and make us feel more secure when troubles come our way. This particular wall decal has a different visual feel than many of our other wall art. By placing the Scripture Reference first and adding the bold artistic line, we hear from our customers that it makes a great artistic statement in their homes. Definitely one of the most memorized verses in the bible and quite possibly the most memorized. God’s plans are hidden from us. That can be scary at times. When w look around and our situation seems dire, we naturally want immediate help. Yet, God’s plans don’t always work that way. It reminds me of another wall art we make, “When you can’t see God’s hand, you can trust His heart.” God knows His plans for us. God’s heart is good and His plan for us is good. This vinyl scripture wall decal reminds us daily that we can trust God and that He has a plan for us even when we can’t see it. Some would say it all comes down to this very foundational verse. It bears the same message at John 3:16 ( I know you know that one). 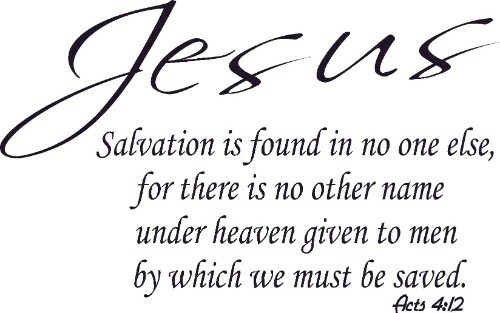 This Scripture Wall Decor reminds us how simple our salvation really is. Trust in Jesus. Acts 4:12 has been out number one selling Bible Verse Wall Art for well over a year now. It makes a powerful statement and a very important daily reminder. So, there you have it. Our Top 13 selling Scripture Vinyl Wall Arts made just for you by Scripture Wall Art. Which Scripture Wall Art is your favorite? Leave us a comment below and let us know. We love to hear from you.